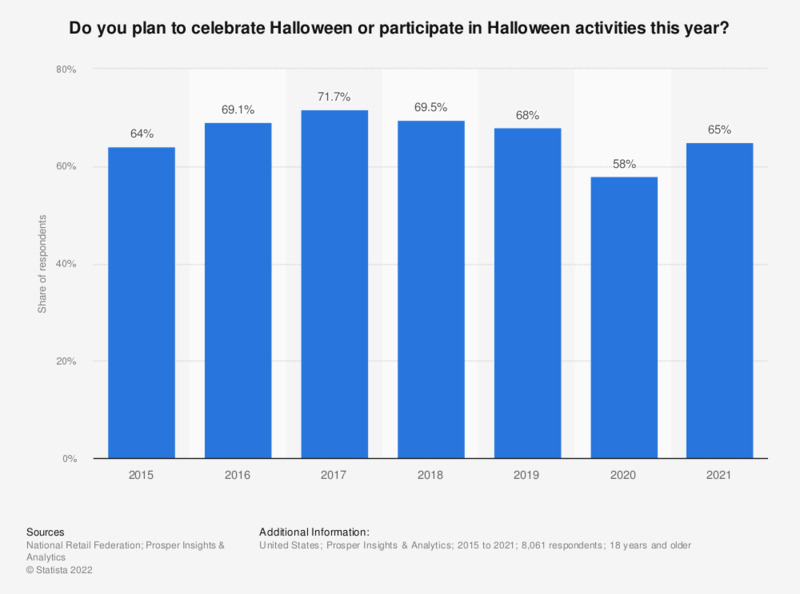 This statistic shows the share of consumers who planned to participate in Halloween celebrations in the United States in 2018. In 2018, 69.5 percent of the respondents stated they were planning to participate in Halloween celebrations. Everything On "Halloween in the U.S." in One Document: Edited and Divided into Handy Chapters. Including Detailed References. Who will dress up in your household for Halloween? To what extent do you agree or disagree with the following statement: “Halloween has nothing to do with British culture and should not be celebrated in the UK“? What do you usually do with the insides of the pumpkin after hollowing and carving?